For more information or any other inquiries, please call (312) 838-1976. All online tickets are sold out! Limited tickets are available at the door on a first-come, first-serve basis. 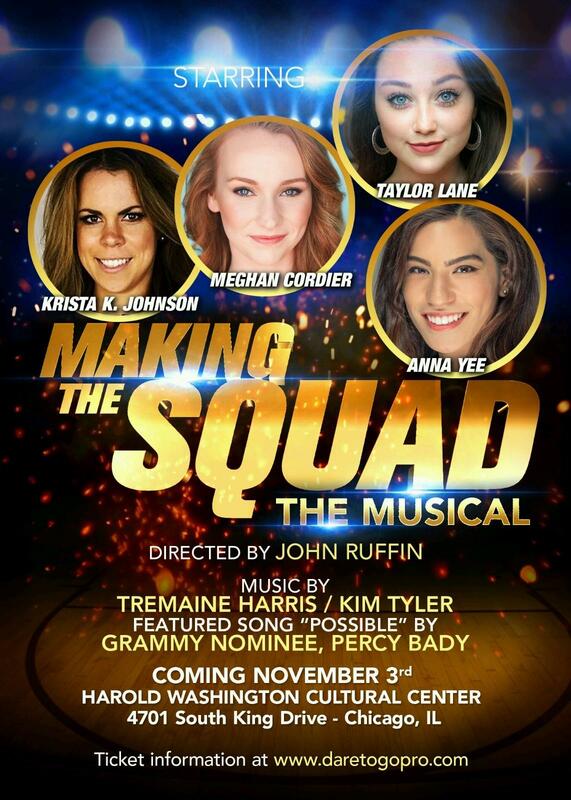 First of its kind, NBA off-Broadway musical "Making the Squad". Based in the 90's when the Chicago Bulls were at the height of the NBA. 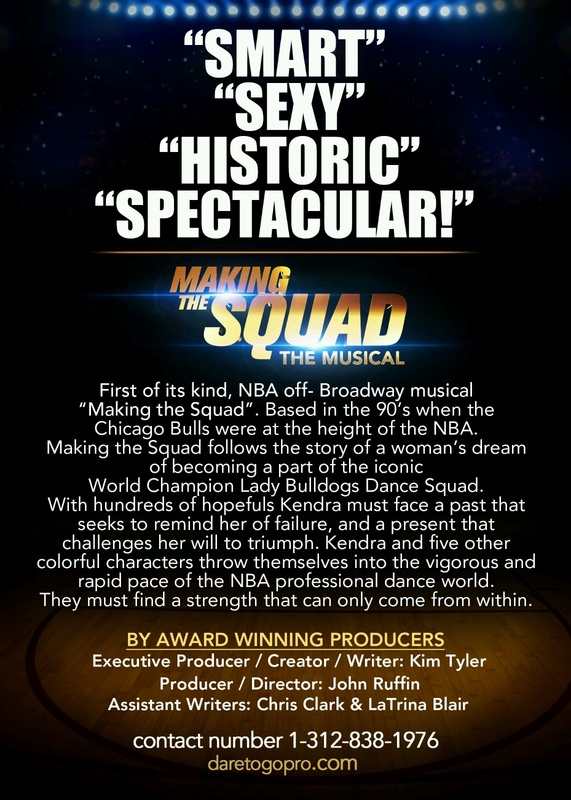 Making the Squad follows the story of a woman's dream of becoming a part of the iconic World Champion Lady Bulldogs Dance Squad. With hundreds of hopefuls Kendra must face a past that seeks to remind her of failure, and a present that challengers her will to triumph. Kendra and five other colorful characters throw themselves into the vigorous and rapid pace of the NBA professional dance world. They must find a strength that can only come from within. This musical benefits young women in teaching: self-esteem, self-awareness and confidence. Endure also provides free dance lessons to inner-city youth and ballet training through Endure's new dance program, Black Ballerinas of America. Attention: ticket holders! We are hosting a pre-panel discussion where you can meet the cast as well as participate in discussions about self-improvement, self-esteem and self-image before the show. Reminder: Please bring a copy of the email that you get from completing your purchase to the theater! Thank you!